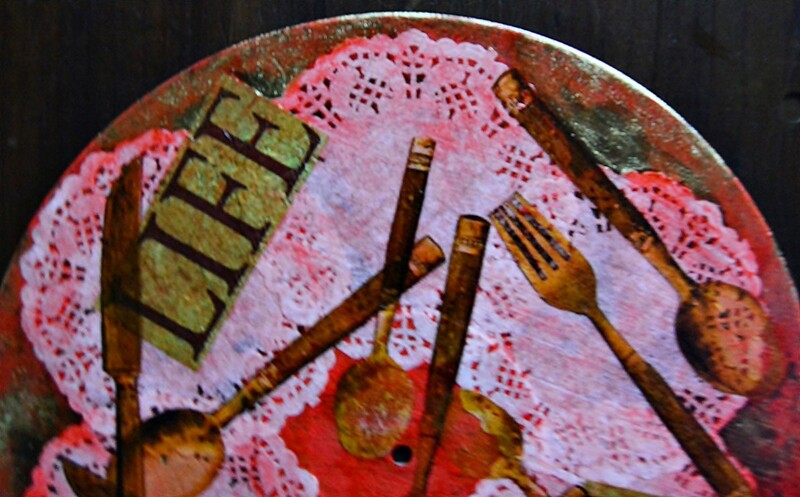 Old worn or scratched vinyl records can be given new life as seasonal charger plates using decoupage techniques. 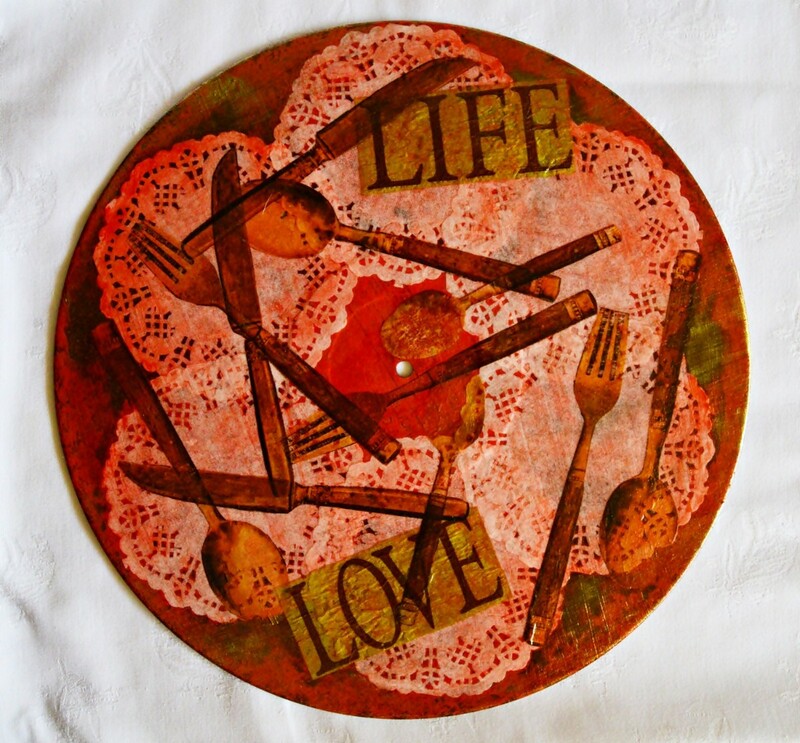 This is a guide about making "Love Life" vinyl record charger plates. 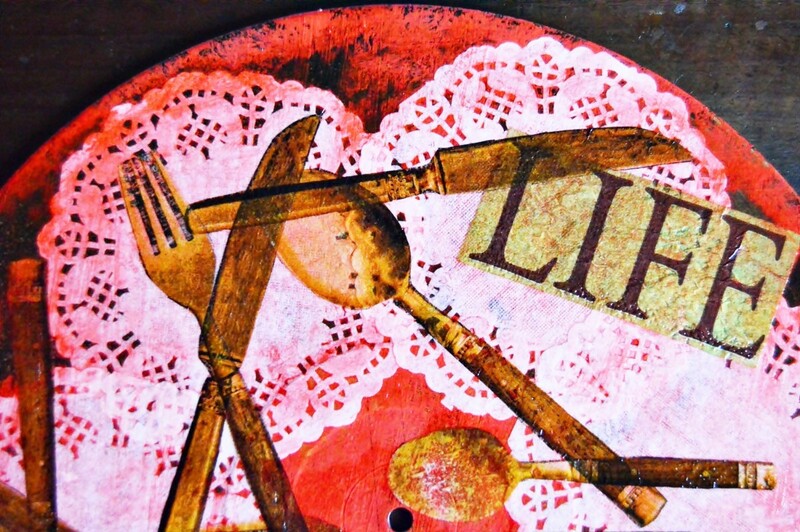 Turn old vinyl records into stunning charger plates for a Thanksgiving dinner. Use paper doilies and napkins with pictures of cutlery and suitable words to make plates that will invite your guests to dig in and to enjoy a hearty meal. 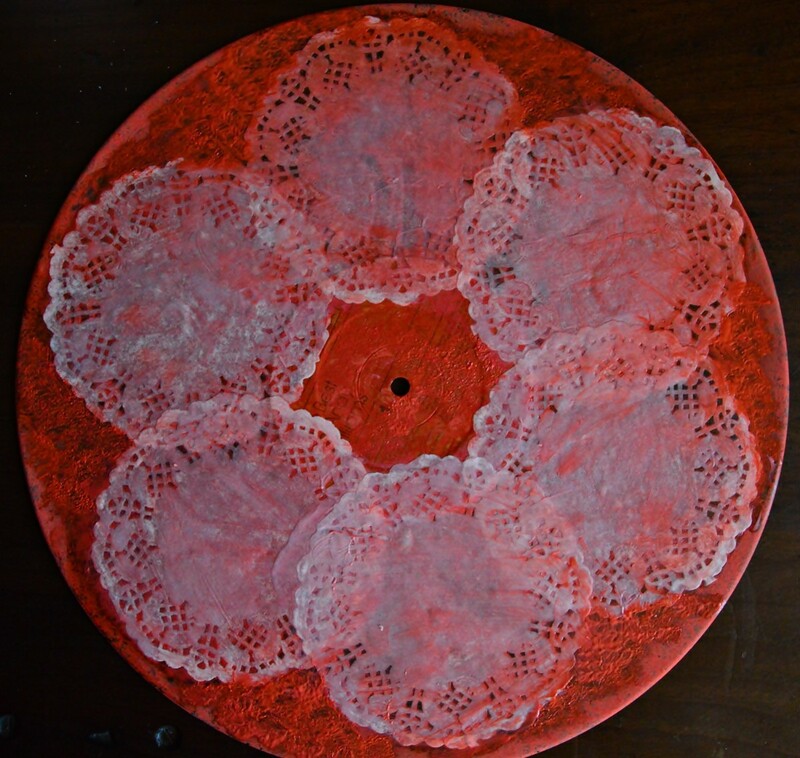 six white round paper doilies with a diameter of 4"
Working dry on dry and using unthinned paint, dab an uneven layer of vermilion paint on to the one side of the record. Allow to dry thoroughly. Paint a substantial amount of Modge Podge on to the back of the first doily. Position the doily on the record and paint some Modge Podge over the top of the doily too, so that it will stick to the record. Use your finger to lightly rub out any air bubbles. 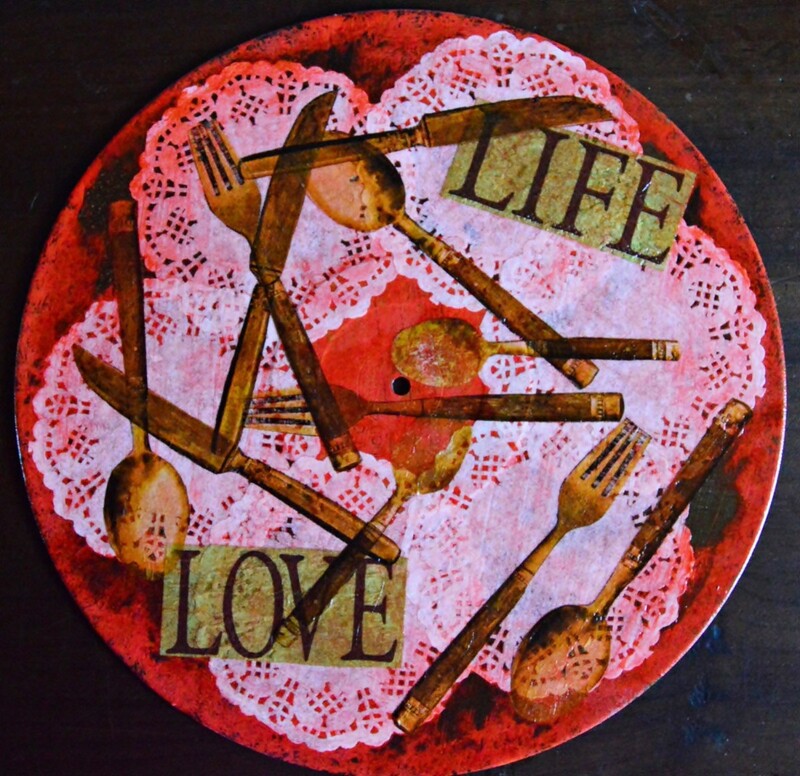 The Modge Podge will cause some of the vermilion paint to flow, which will add a red-orange tinge to the doily. This will add to the character of the charger plate. Repeat step 2 with the other five doilies and allow the plate to dry overnight. Cut out different cutlery and words from the napkins. Remove the bottom napkin layers from the first cutout. Position it on the record and paint a substantial amount of Modge Podge over the top of the cutout, so that it will stick to the record. As the napkin cutout can stretch or tear easily, it is best to start painting from the middle of the cutout towards the sides, working in small triangles. The Modge Podge must only be applied to the top, and must not run underneath the napkin cutout. Use your finger to lightly rub out any air bubbles. Repeat step 4 with the other napkin cutouts. Making a collage, where the different cutouts overlap with one another and placing them on different levels, creates a more interesting end result. Allow the Modge Podge to dry for a few hours. Paint two more layers of Modge Podge over the record. Change the direction in which the Modge Podge is applied from horizontal to vertical. Remember that after every layer of Modge Podge the record must first be allowed to dry for a few hours. 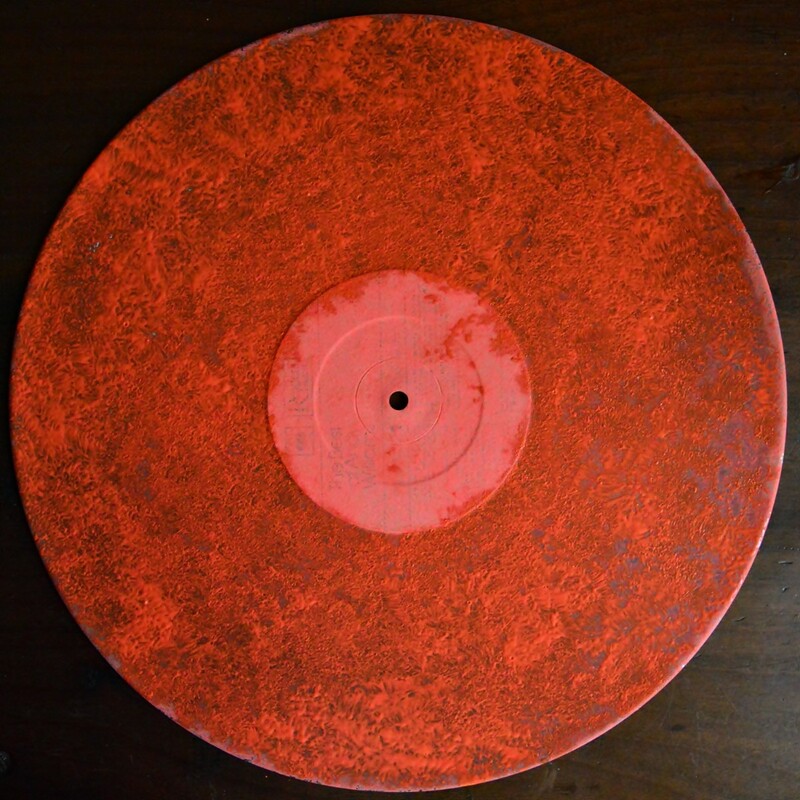 Use a dry paintbrush and brush gold dusting powder around the edges of the record. Add a final layer of Modge Podge and allow to dry for a few hours again. To protect the napkin cutouts and allow easy cleaning, apply one coat of Hard as Nails varnish and allow to dry thoroughly. Repeat steps 1-9 to make more charger plates in the same way.